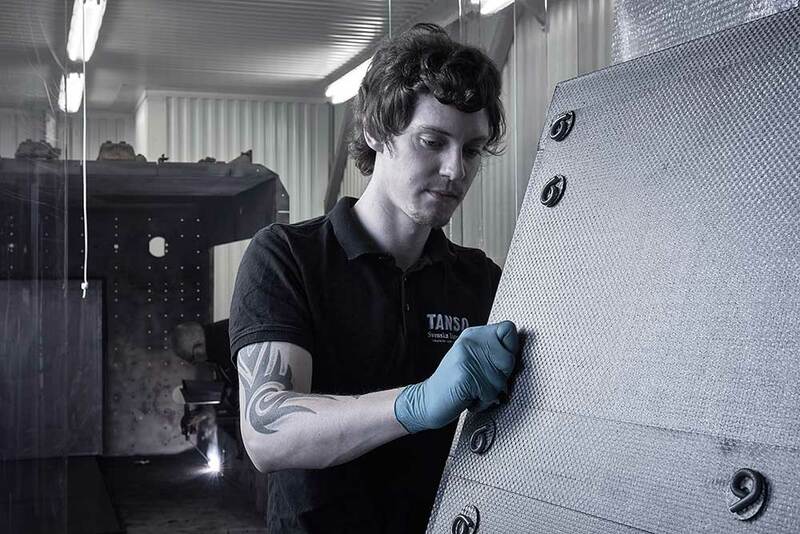 Svenska Tanso performs everything from partial to complete reconditioning of the heating chamber for all vacuum furnaces. We clean and take care of all waste material in a safe and environmentally safe manner. We carry out welding, blasting and various repair works of the steel chamber and of course provide spare parts and execute any custom modification when necessary. We manufacture, customize and install insulation, CFC and graphite components. We calculate, modify and measure the resistivity of each heating element in order to fully optimize the hot zone of each furnace. We supply all ceramic insulators, fasteners of molybdenum and also insulators made of boron nitride. If there is a beak-down and something needs to be done immediately, we are in most cases in the position of supporting with swift service, depending on the nature of the damage, often within 24 hours.